Fall in Texas means hockey is back! Oh, and Texans football, Spurs basketball and baseball playoffs too. The San Antonio Rampage kick off their 15th season this month as the AHL affiliate of the Colorado Avalanche. 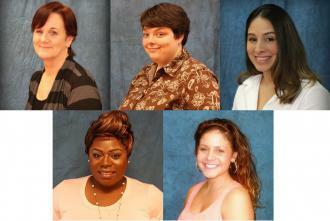 We’re looking forward to a great season with familiar faces returning. C.I.A. Services will be hosting our 9th Hockey Night with the San Antonio Rampage on Saturday, January 28th when the Rampage take on the Ontario Reign. This will be the 2nd night of back-to-back games against the Reign so it is sure to be fast-paced and physical. Each year, we invite our community volunteers, employees, families and friends to join us for a fun-filled evening watching a great sport. If you’ve not seen a live game, it’s a real treat. Invitations will be mailed the first week in January. Click below to see photos of the fun from the last eight years. 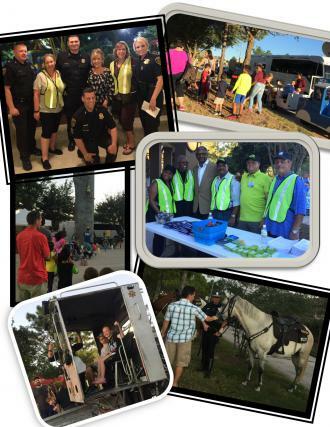 National Night Out in Summerwood was another resounding success. 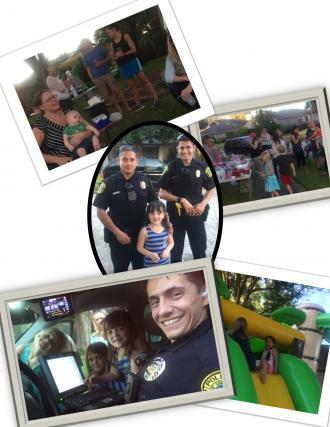 National Night Out is Summerwood’s largest event and this year more than 1,000 residents came out to meet officers from Harris County Precinct 3 Constables, Houston Police Department K–9 and Mounted Patrol units, Marine Patrol, and Homeland Security. The Mounted Patrol horses were a big hit with the kids and adults alike. Representatives from Harris County Precinct 1 Commissioner Gene Locke’s office and State Representative Harold Dutton’s office attended to meet residents and even assisted with voter registration. A DJ set the stage for fun, dancing and family picnics on the Great Lawn. 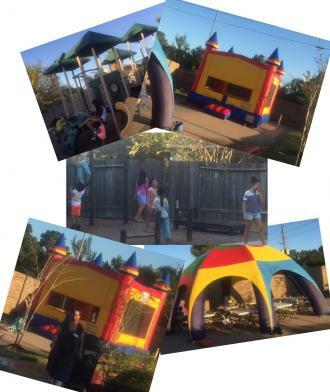 Children enjoyed the rock wall, 4 bounce houses and trackless train rides around Club Summerwood. Residents loved the free sno–cones, popcorn and cotton candy provided by community vendor CMC Construction and HEB was on hand selling freshly grilled hamburgers and hotdogs. Local churches handed out water and other goodies while the HEB Pharmacy team had flu shots available. Door prizes included driveway alarms, indoor lamp timers, a padlock, pepper spray, outside automatic light controls, glass alarms, stainless steel clamps for truck tailgates and other home security related items. The Summerwood Crime Watch Committee works hard to organize this annual event to help promote resident safety and a sense of community. Their hard work does not go unnoticed and is most appreciated! A special thank you to the Summer Creek High School JROTC for volunteering at the event! Every year, the residents on and around Echo Ridge, a street located in The Highlands, join together to celebreate National Night Out. As usual, they had a huge event and great turnout with about 12 families that joined together to celebreate. Many generations were represented, including grandparents with their grandchildren! The bounce house with a fun slide was a big hit for the little ones! The kids also enjoyed a blocked off cul de sac for bike riding and street baseball. Three police cars visited and as always, kids (and adults) had fun pushing the buttons in the car to turn on the lights and sirens! One of those police cars brought a very special passenger. The group was very excited that Amy Mitchell, their City Council Representative, dropped by for a visit. Hot dogs were served and everyone was asked to bring a side dish or dessert. They had a feast! It was a blast and everyone agreed that it was their best turn out yet! We are already looking forward to next year! National Night Out has not been celebrated in Canyon View for quite some time. However, the new Social Committee Chair decided that this year it would be different and everyone would celebrate living in Canyon View and getting to meet each other. The City of San Antonio granted the community approval to close out a section of one of their streets and they had an old fashioned street party. As you can see from the photos, it was a big event with a big turnout! There was food to be enjoyed! There were games to be played! They had music to dance to and hula hoops for hooping! And of course, there was the always popular bounce house for jumping! The Social Committee and Board of Directors would like to thank their residents for making this event a big success! What a fun night! We simply cannot wait to see what this group has in store for next year. This year, the Heron Nest Owners Association held their very first National Night Out. The residents enjoyed hot dogs with all the fixings, chips and assorted drinks from James Coney Island. The children in the community enjoyed a bounce house, the Heron Nest park playground equipment and safety coloring books from the Harris County Sheriff’s Office. Also, for the parents and grandparents, Harris County provided booklets that covered everything from bicycle safety and new drivers behind the wheel to disaster readiness and protecting the elderly. We would like to thank the Heron Nest Board of Directors and Rhonda Duffield for making this an event one the homeowners will remember fondly. I look forward to attending the 2nd Annual National Night Out event next year! 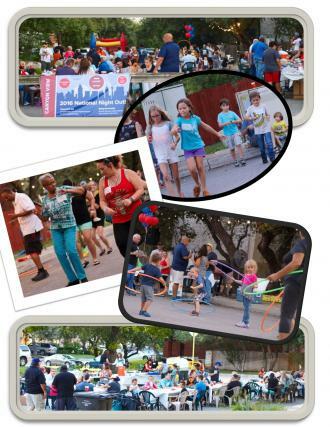 In Riverpark on the Brazos, twelve individual block parties were organized and held this year to celebrate National Night Out and to encourage neighbors to get to know one another. The River Park Association gave each block party organizer $100.00 to assist with refreshments for their event. Each bock party had several special guests throughout the evening. And a real treat was when The Alligator Squad came out with baby alligators for residents to see and touch! All 12 block parties had heavy attendance and were well received. A great time was held by all! 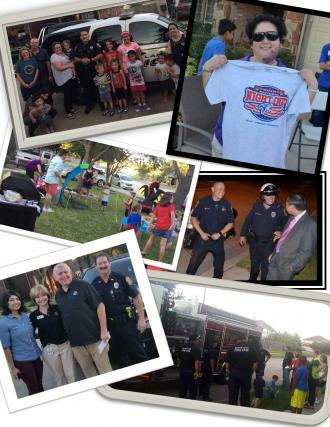 The Quail Ridge community conducted a block party for their National Night Out. Lots of food, fun and conversation was included! The Hungry Lumberjack food truck was on hand and provided gourmet eats for all in attendance at the White Oak Falls event. 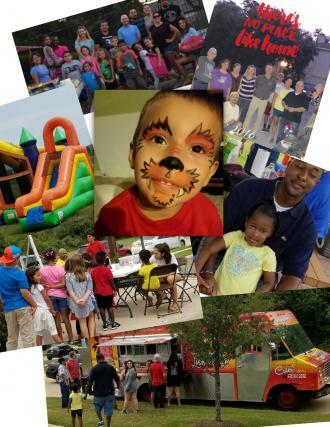 There were bounce houses for the kids, face painting, popcorn and lots of neighbors getting to know one another. A wonderful time was had by all. Hunters Chase celebreated their 2016 National Night Out event at the pool parking lot. The Board served hot dogs & drinks to everyone. Residents that attended each brought a delicious dessert from home for sharing! Quite a large event was held in Deerfield on the north side of San Antonio. Deerfield has a well-organized system of block captains who welcome new neighbors and assist with communications. Neighbors look forward to National Night Out each year and this year they had 26 block parties. Board members, their City Councilor and SAPD officers visited as many as they could. They even had a special fly-over from an SAPD helicopter piloted by one of their own security officers! And most importantly, neighbors had an opportunity to remember to look out for each other. Yaupon Ranch had visitors from the Constable’s Office and the Cy-Fair Mobile Library. Food trucks were on hand for refreshments. A rock climbing wall, carousel, and a spinning ride were just some of the entertainment for the younger crowd. The Board of Directors of Charro Legacy Trails welcomed their Community Manager and her family to their event with hugs. With many homeowners bringing yummy treats, their potluck included chicken, pasta, fajitas, creamy corn, corn bread, cake, cookies and more! The kids had glow lights, sidewalk paint and face painting. All left with happy bellies and had a great time! We are always happy to give back to our greater community. 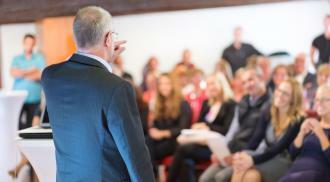 Throughout the year, we conduct several events that accomplish that goal. The San Antonio office likes to hold an Annual Food Drive to help the San Antonio Food Bank feed our fellow neighbors in San Antonio. Our motto for this event has always been “Fill a bag, feed a family”! This year the office staff joined forces with community homeowners, board members, and vendors and made a tremendous difference! 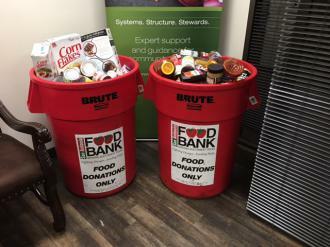 The event began last month with just one red container for the food donations. However, it filled up quickly and we found ourselves in need of another container. We are extremely happy to say that the second container was also filled! We all know how much this is needed here in our city and we are proud that we were able to donate to possibly make a bit of a difference. We would like to thank everyone that contributed. We had both food and monetary donations. A special thanks goes to Vince Monzingo from Dot Sprinkler. Vince helped us fill up the first container in just one trip! He contributes every year and is always very generous. Thank you all, for the great response and participation. May we always remember “Fill a bag, feed a family”! 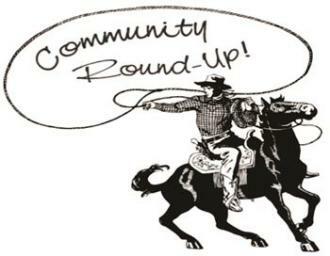 The 5th Annual Community Association Day - Community Round Up by the Greater San Antonio Chapter of Community Associations Institute is set for Saturday, October 22nd. The event will be held from 8:30 a.m. to 3:30 p.m. at Pedrotti’s Northwind Ranch - 13715 FM 1560 N (Hausman Road) in Helotes. This will be a day that you won’t want to miss. If you are able to attend this free event, be sure to stop by the C.I.A. Services booth. For more information, please contact CAI at 210-389-6382 or www.caisa.org. 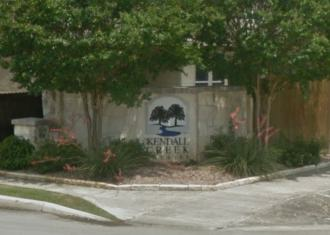 We are so pleased to welcome the Kendall Creek Estates Homeowners Association to C.I.A. Services. 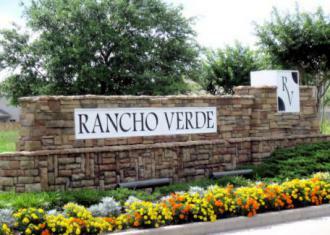 The Kendall Creek Estates Homeowners Association is located in Boerne just off I-10 near Hwy 46 and is about half way between our Bandera and San Antonio offices. The first of its 106 homes were started around 10 years ago. We love to celebrate special milestones with our employees. In the Employee Corner of each eNews issue, we will list all employees that have reached their 1 year anniversary with our company. 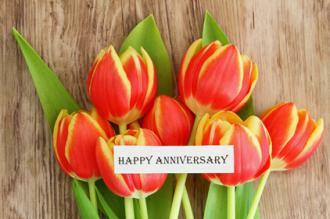 Additionally, once employees become stockholders at five years, we recognize them each year on their anniversary month. Congratulations to Community Manager Brenda Ellington on her 11 year anniversary! Brenda manages several communities out of our north office and does a wonderful job taking care of those clients, many she’s managed for most of those 11 years! Brittany Tate, a Compliance Coordinator out of our north office, is also celebrating her 11 year anniversary. Brittany’s our go to person for many special projects and was most recently a key player in the launch of our partnership with CondoCerts. Her primary function is processing the 100’s of resale and compliance certificates requested each month and ensuring that the many deadlines associated with those requests are met. We have another 11 year anniversary to celebrate! Melinda Diaz is a Community Specialist from our north office. Melinda spends day her taking calls and answering questions from homeowners. Melinda always has a smile on her face that you can hear in her voice which makes her a perfect person to fulfill this role. Congratulations are in hand for our newest company stockholder. Deniece Reyes becomes a stockholder and celebrates her 5 year anniversary this month. Deniece is a Community Manager juggling her time between the Southwest Office and onsite in the Aliana community. Deniece is a leader within the company and is always available to help her fellow coworker. We are celebrating the 1 year anniversary of Haiden Jennings! Haiden is an Accounting Clerk working in our Accounting Department out of our Bandera office. Haiden is primarily responsible for maintaining the ownership records in every community. That’s a big task and we appreciate her for it! Hanna Brack, daughter of San Antonio Office Community Manager Brandi Brack, recently participated in her High School Career Day as a C.I.A. Services Community Manager. Career Day at her school gives students the opportunity to learn and speak about different careers available in their area. Hanna was approached by many students who assumed Hanna was representing the “C.I.A.” (Central Intelligence Agency), which opened the door for her to speak to them individually about C.I.A. Services and community association management. Hanna is a junior at Bandera High School where she is an honors student and in a leadership position on the Color Guard, FFA member and current Worthy Advisory of her local Rainbow Girl Chapter. 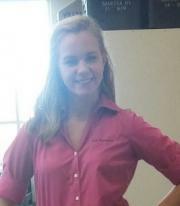 We are very proud to have Hanna Brack represent C.I.A. services in the presentation of our career field to the students of Bandera High School. We may have some bright, talented, young Community Managers who choose to start a career with C.I.A. Services because of Hanna’s hard work and conversation of what community management is all about. Thank you, Hanna for choosing C.I.A. 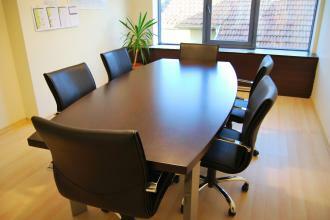 Services as your career project and representing us so well.